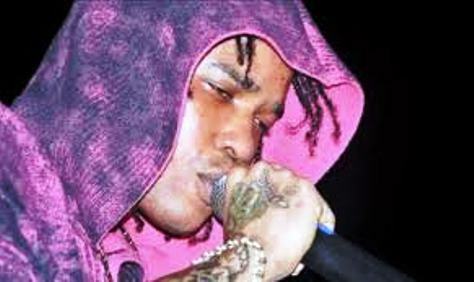 A week after getting booed on stage for dissing Bounty Killer, Tommy Lee drop a new diss track aimed at the dancehall legend. A preview of the single “Don’t Play” surfaced online today with Tommy Lee name dropping Bounty Killer. 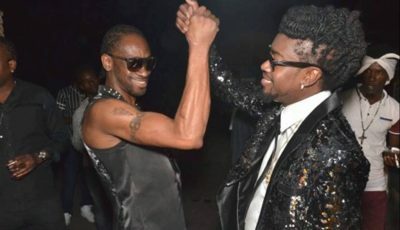 Tommy Lee went on to link Bounty Killer as an homosexual similar to what caused him to get booed at Chug It and Rum Punch last week. Listen to a preview of the single below. TOMMY LEE REALLY SHOULD FOCUS ON HIS CAREER & STOP THE NOISE WITH THE GENERAL. BOUNTY IS CORRECT IN HIS STATEMENT THAT “20 YEARS VS 20 WEEKS” IS AN UNFAIR CLASH. I WOULD LIKE TO SEE. MACKA DIAMOND VS LADY SAW….MAD! This adds up to “Hay diddle, diddle, the cat and the fiddle, the cow jumps over the moon” which is basic school garbage! Tommy n bounty different styles.killer is a killa demon is a devil..both devil.bounty chat bout ppl dead!tommy praise demon..killer is demon.demon is killer..
Look up on the stage. Its a bird its a plane. Them burst a cow chain. Who next on the DJ train. f–kery, This no ready yet! so grade school-ish! It’s turning out to be hilarious at this moment, it seems desperate when you have to link a man to homosexuality, that is not very creative. This is over Tommy Lee took the L and now time to move on focus on his career and stop to battle with the General. The youth ya no want him career. Bounty was right his management is his biggest damagement lol.